Rushmore Academy is a conversion community school sponsored by the Marion City Schools and serving at-risk students in Marion and surrounding counties. 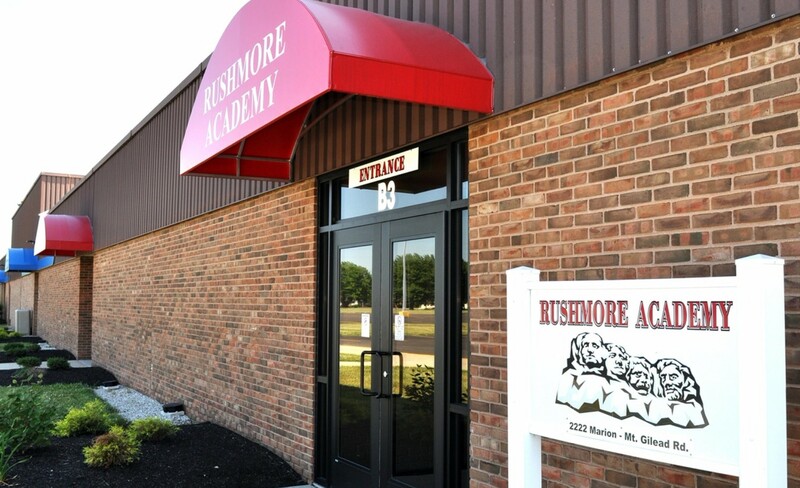 Rushmore Academy offers a non-traditional educational environment that provides students with the academics, life skills and work training to not only achieve their high school diploma, but also empowers them to achieve their long-term career and personal goals. Our focus is to not only provide the academic resources our students require, but to also provide student-centered guidance and support that allows each and every student to succeed. We embrace the fact that not all students thrive in a traditional school environment. That’s why we are committed to providing a personalized learning experience for each student. In addition to a personalized learning approach, we believe the interaction and relationship our highly engaged and caring staff develops with each student is a critical component that enables our students success. When based on the individual needs of each student, our innovative, student-led approach is proven to reinforce academic achievement and promote positive behavior. The goal of Rushmore Academy is to empower our students to reach their maximum potential academically, socially, and emotionally. By emphasizing our core values of hard work, team building, personal accountability, and service to others we help every student become successful and productive citizens.